Les Mills is pleased to be partnering with Polar, the pioneer of wearable sports and fitness technology and the leader of heart rate monitoring for more than 35 years. The partnership brings together Polar’s leading heart rate training guidance with the motivation and results that go hand-in-hand with LES MILLS™ fitness programs. Polar’s heart rate monitoring devices, such as the H7, A360 and A300, allow Les Mills participants to keep track of their workouts and ensure effective exercise – whether sweating in a LES MILLS fitness classes or pumping it up in their living rooms with LES MILLS On Demand, a workout streaming service. Moreover, Polar takes the workout sessions further with its Polar Flow online platform and app. When syncing their devices with Polar Flow, exercisers will not only be able to view details of their workout, but also keep track of their long term progress and receive guidance and suggestions for improvement. The partnership spans a wide range of joint actions. Polar heart rate monitors are now being used by Les Mills Program Directors and Trainers who love the insight it gives them and the ability to track their workouts against their long term goals. 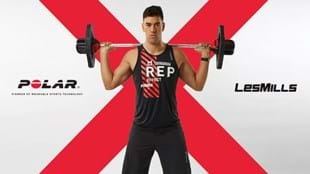 In addition, the companies will be working together on product development, joint research initiatives and greater integration of Les Mills workout information on Polar devices. Les Mills is also excited to be bringing Polar onboard as a partner at its global Les Mills Live events. Polar is the leading pioneer in heart rate monitoring, activity trackers and training computers. With nearly 40 years of experience and a proud heritage in innovative physiological and sports medical research, we cater to all levels of fitness by offering a comprehensive product range including cycling computers, wearable sports devices and activity trackers, training apps and online services. Our award-winning training computers are the number one choice among consumers worldwide, being sold through over 35,000 retailers globally. Headquartered near Oulu in Finland, Polar is a privately held company that operates in more than 80 countries including U.S. headquarters in Lake Success, NY. For more information, please visit www.polar.com. Every week millions of people rely on Les Mills for the world’s best group training. Les Mills workouts are licensed in 100 countries by 17,500 partners around the world. These partners have access to research, marketing and new workouts every three months. A tribe of 130,000 certified instructors bring those workouts to life every day. The future of fitness is merging physical and digital. 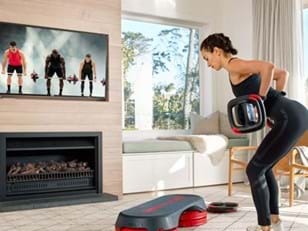 Les Mills is leading the way with immersive training and workouts on demand. 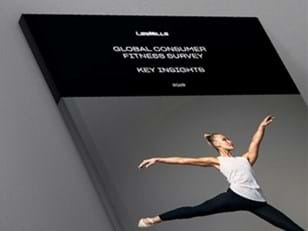 Learn more about LES MILLS workouts, Les Mills Live events and LES MILLS On Demand.